Smoke clove cigarettes? Wear ironic trucker hats? Skinny jeans? Horn-rimmed glasses with bug-eyed lenses? Graduated with a liberal arts major? Carry a shoulder-strap messenger bag? Soi disant exceptionally cultured, with at least one pop vice? Have at least one Republican friend, and describe him/her as your “one Republican friend?” Unwashed hair, but position said head on pillow at night to maximize cowlick? Yes, you’re a hipster. The hipster is a generation of bored and unhappy cynics who roll their eyes at their parents’ work ethic, and romanticize dumpster diving and sleeping until noon. If it’s home-grown, then it’s parochial, unless it’s kitschy, then it’s hip because it cannot know how not hip it is. Thus the hipster class is the self-aware, and thus quintessentially ironic, consumption of kitsch. They appreciate the lowbrow and mass-produced and bluntly sexist leftovers from the 40s and 50s, records by Matador, DFA, Definitive Jux, Dischord, Warp, etc. 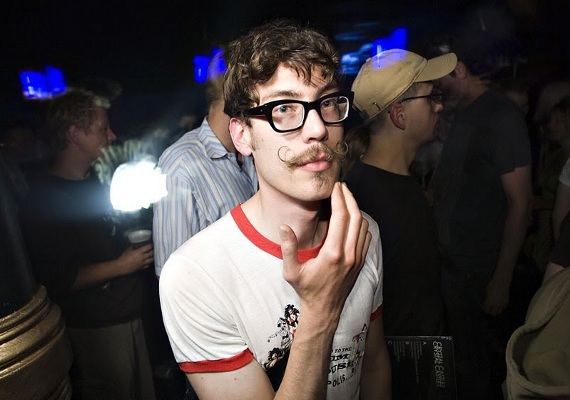 Hipster – the new urban emigres much like the bohemians or hippies or punks of the previous generations worked in bars, coffee shops, clubs, and in design, publishing, marketing, web development. But their calling card is living authentically for themselves and their art endeavors. By deliberating dropping out of the rat race, the hipster dropped into a more subtle and insidious race: the Olympics of Cool. Authenticity and sincerity were “chased” with a smirk and a wink. They often yearned for a more authentic life than the suburban one they grew up in, they’re also well-fed on postmodern theory that their ideals were artificial constructs, and therefore at bottom embarrassing. What writers call ‘hipster irony’ is better more aptly defined as ‘hipster cynicism’ because that allows for more clarity in identifying irony. The hipster culture today requires the protection of the self with a jaded and cynical cycle of ridicule and defensiveness. Thus, hip irony falls in the same conceptual gutter as Sloterdijk’s cynical reason, the assumption that there’s no alternative to neoliberal capitalism. Sloterdijk defines the mood of our contemporary age as a “chic bitterness,” where we have learned to “incorporate as a survival factor a permanent doubt about [our] own activities” into an “enlightened false consciousness.” This chic bitterness is shot through the hipster, as well as many other avatars of Americana (yuppie, post-hippie subcultures), and results in the corporate and state reappropriation of subcultural texts by stores like Urban Outfitters and corporations like Apple. If this article from 2008 is right, that the Hipster is the Dead End of Western Civilization, then is it also an epitaph of Richard Rorty’s irony? If that conception of irony was supposed to be empowering for individuals, rather than enabling the public notion of the good, then is the hipster is the final realization of cynicism, and the unintended but anticipated result of such an attitude to narratives? It is not the case that the problem of cynicism in modernity must imply that there are final narratives, but hipsters as ironists are completely susceptible to commodification, no matter how much they wink and nudge you in the ribs. Rorty may denounce this and claim that irony is meant to be private, and absent of public impact, but then again, if all narratives are contingent – especially commodified – then they are all already undermined and nothing is left except for cynicism.